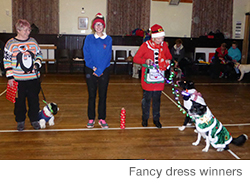 Real Dog Training Scotland had its 2017 Christmas fancy dress party at Dalry Town Hall. 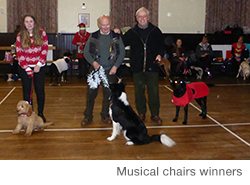 We were over whelmed by peoples generosity and raised on the night £150, plus £100 pounds carried over from 2016 from people who couldn't make the party. 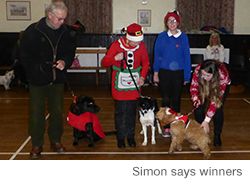 Dumfries & Galloway Canine Rescue have received their cheque for £250. Thanks goes to Margaret Schoffield for the chocolate cake and Jessica Nash for hosting the games and judging the fancy dress. 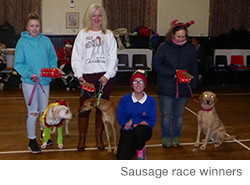 © Copyright 2019 - Real Dog Training Scotland.